BMW R1200GS Forum : R1200 GS Forums > The Bike > General chatter > 2016 GSA (dropped) vs 2014 GSA same $ decisions? 2016 GSA 13k Miles all standard no extras. Looks like it was dropped on one side, scratches on side of lower crash guard, side mirror, drive shaft slider and little scratches on other parts but nothing major. For $15,000 OTD. Is there anything to look for to make sure that crash did not cause any major damage. 2014 GSA 17,500 Miles (guess will need service soon), think 2014 is the first year for new generation of GSA. Looks clean, no scratches. All three factory hard cases (don't really care for) For $15,000 OTD. Need to decide on one of them fast while its still available. Or should I keep shopping around for that price range? Thank you all in advance. Appreciate all your advice. East of Mississippi; GS. Lighter. Gas stations everywhere. Out west GSA. More fuel volume. Mostly what you feel comfortable on and how and where you'll ride it. Scratches just show character, you should see mine. If its ridden in the dirt, chances its been dropped. If I didn't do dirt "roads", I probably would have opted for a 1200R or maybe RS. Same price, used motorcycles. I would opt for the one with the most accessories already fitted. The hard cases are expensive to purchase. If you don't plan on travelling on your bike, then buy without. My top case is permanently on my GSA. I use it to commute and it fits my helmet and gloves and locks securely. Both options seem to be quoted high. 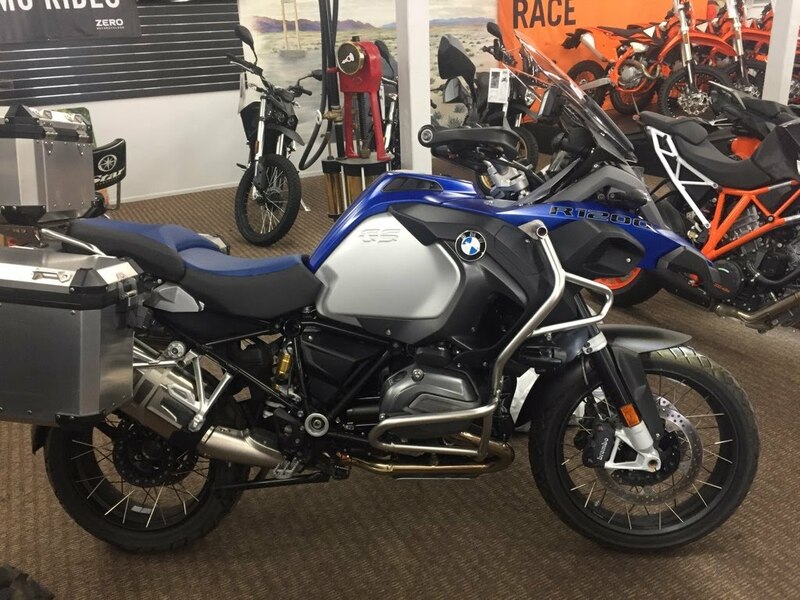 Check https: // westernmass.craigslist.org/mcy/d/windsor-2017-bmw-r1200gs/6864489102.html (remove spaces) - 15k for 2017 GS with 2k miles. It may make sense to fly and ride. Decided to go with GSA 2015 11,400 miles for 15k (will all 3 Panniers and GPS). Not sure flying all the way, shipping it back to So Cal would have saved much and had a trade in too. Anyways thanks for the suggestion.